Sign up your Young Lady TODAY to learn strategic skills in Healthy Relationships and Violence Prevention!!! Homepage Education Sign up your Young Lady TODAY to learn strategic skills in Healthy Relationships and Violence Prevention!!! Ruth’s Way, Inc. is hosting an intensive skills-building course on healthy relationships and violence prevention!!! Be a leader in your community. Interested in learning more about relationships and sexuality? This research study of the “Sisterhood 2.0” Training Program focuses on young women ages 13-19 in the Pittsburgh area. We are seeking ways to support young women to thrive, succeed, and be healthy. We are hosting an intensive skills-building course on healthy relationships and violence prevention. You will be asked to come to six sessions. Each session is 3 1/2 hours long. You must attend all sessions to be eligible for gifts and a certificate of completion. This program may also be eligible for required service hours. two follow up surveys after the program ends. Participating in the surveys is voluntary and anonymous. FOOD AND COMPENSATION WILL BE PROVIDED!!! Dr. Elizabeth Miller at Children’s Hospital of Pittsburgh of UPMC, University of Pittsburgh. She can be reached at 412-692-8504 with any questions. 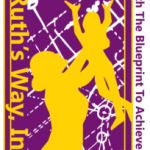 Become a Ruth’s Way, Inc. VOLUNTEER MENTOR!